Team Up Get Fit Have A Ball! Wouldn't you love to spend more time with your family? Doing something that can make fitness part of your everyday life, while having a total blast? 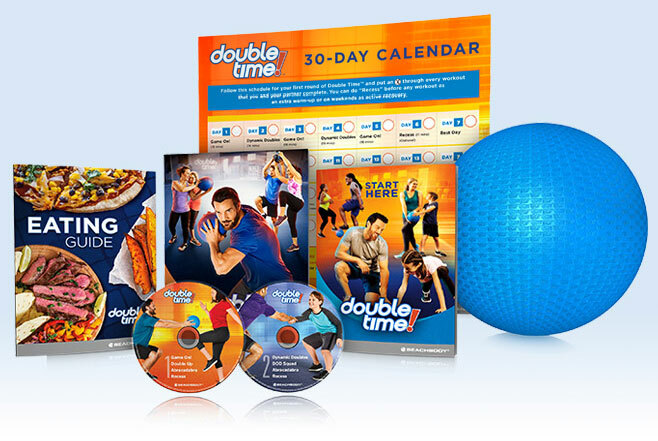 Introducing Double Time, the first-ever 30-day fitness program you get to do with a partner! Double Time became Family Time for this duo. Alanna could have done Double Time with her spouse or a friend, but she chose her son, Christian, to be her partner in crime. For 30 days, they chowed down on yummy, healthy food and teamed up for super-quick workouts—while sharing some one-on-one time! Double Time made exercise Fun Again for this Couple. Before, Mike and Michelle would trudge to the gym and do their own separate routines. But with Double Time, they worked together to complete laugh-out-loud workouts that felt more like play and less like work. Double Time helped Raquel make exercise part of her daily life! Raquel has always had a tough time staying consistent with her workouts. But doing Double Time with her brother gave her an extra dose of accountability! 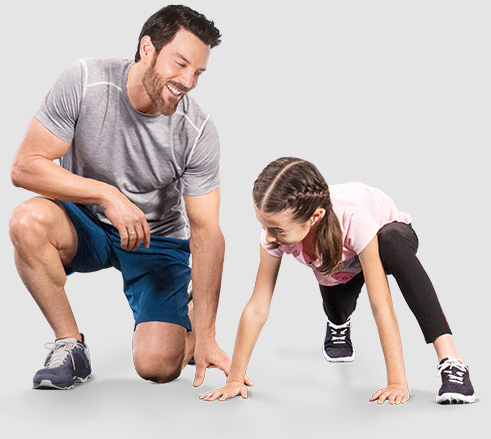 Beachbody On Demand gives you instant access to the entire Double Time program, plus over 700 additional workouts—including 100+ family-friendly workouts and 100+ workouts from legendary trainer Tony Horton! 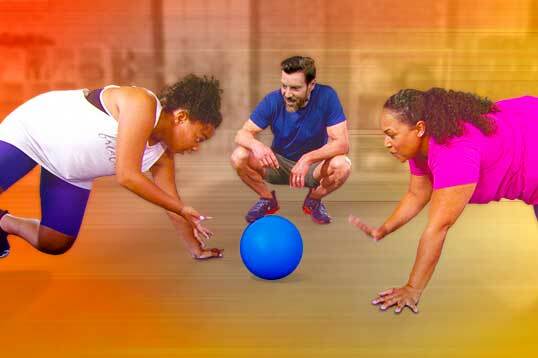 Just grab your own ball (or the Beachbody Buddy Ball) and a partner and you're good to go! Ready, set, go! Take on your first Double Time workout designed to crank up your heart rate—and the fun! Torching calories doesn't have to feel like work—especially when you've got a buddy on your side. Pal around while building strength in this quick and effective resistance workout. Team up to lunge, squat, and crawl your way to a stronger bod. 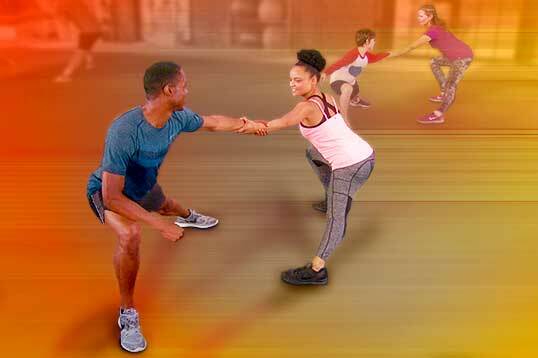 Feel the magic as you and your partner sweat and laugh your way to stronger, flatter abs. All play makes this active recovery workout a blast—and a great way to loosen up and improve flexibility. Available ONLY with your Beachbody On Demand membership. Not included with DVD purchase. Packed with playful cardio moves, this is one sweat fest you'll actually look forward to. 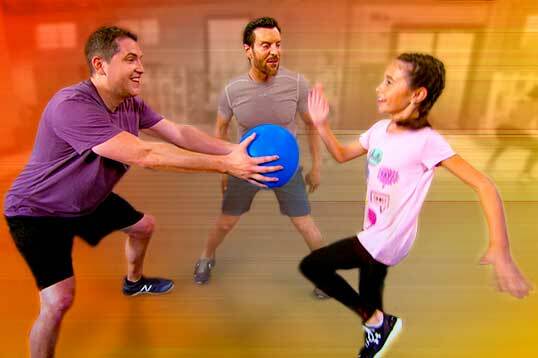 Tony double dog dares you to take on more strength-building moves—all while having a ball! Your membership includes access to a team of professional fitness and nutrition experts, motivation from a Coach, and free support 24/7 from a community of members. Everything you need to live a healthier life! This handy calendar helps you stay on track by showing you which workouts to do each day. Eating healthy isn't as complicated as you think. Filled with simple tips and kid-friendly recipes, this guide will help you and your partner get on board with better nutrition. Want even better results? It also includes the Double Time Weight-Loss Plan to help fast-track your transformation. 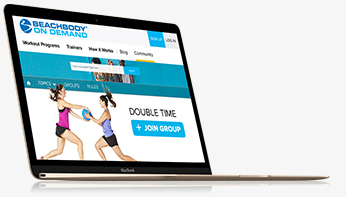 With an Annual All-Access membership to Beachbody On Demand, you'll get the full Double Time program and more. 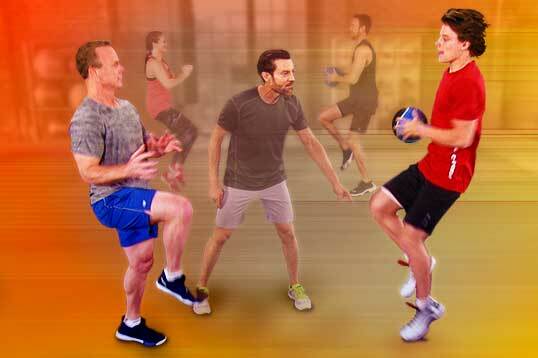 Beachbody Buddy Ball separately on Beachbody.com. *Your Beachbody on Demand membership automatically renews every 12 months for just $99, billed in advance to your same credit card, until you cancel. Cancel anytime to avoid future charges by calling Customer Service at 1 (800) 470-7870. *Shipping & handling charged for DVD option only. Billed as 3 payments of $19.95 (+$12.95 s&h). As the creator of fitness programs like P90X®, 22 Minute Hard Corps®, and 10-Minute Trainer ®, Tony Horton knows a thing or two about helping people get in shape. But he’s always wanted to create a fitness program that does more than that. One that helps people connect—whether it's couples, family members, or parents and their kids. 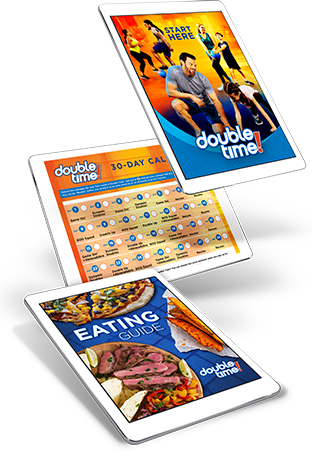 Double Time is Tony's first partner workout program designed to help you and a partner get fit while having a ball! Together, you’ll have everything you need to successfully complete the full 30 days—the built-in support of a partner, along with Tony's signature resistance and cardio moves, proven weight-loss techniques, and his super-motivating teaching style. Want to lose weight and burn calories? Want to have fun doing it? 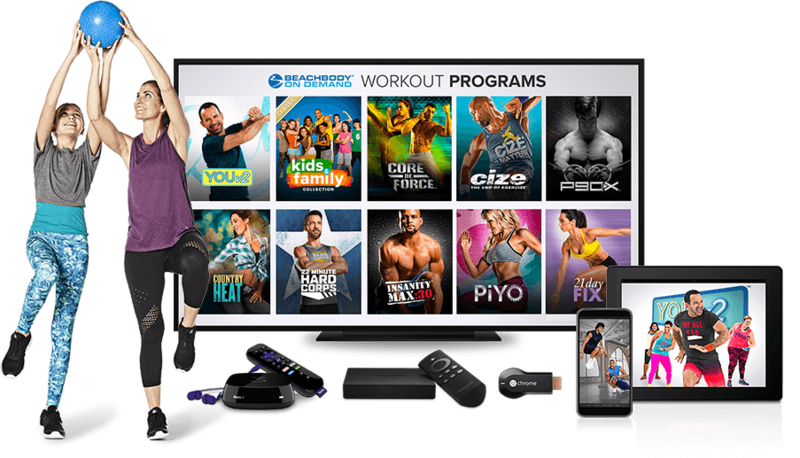 Only Beachbody On Demand lets you instantly stream 700+ world-class workouts to your laptop, TV, smartphone, or tablet, anywhere you have an internet connection. 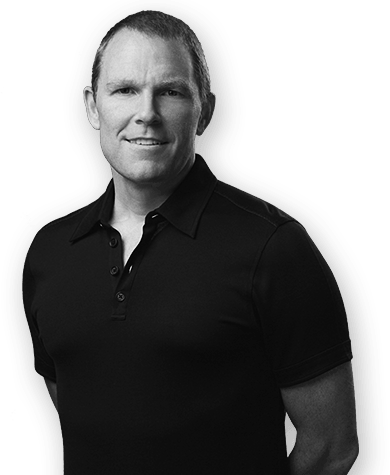 Get started today and see how meaningful results are within your reach. 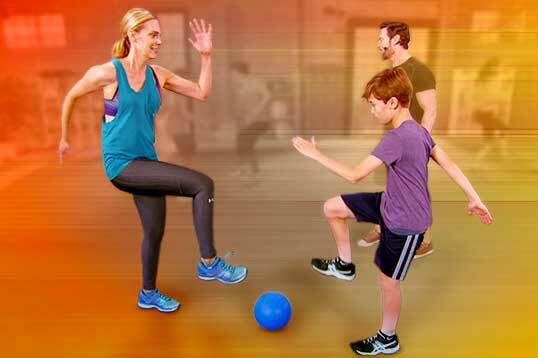 Over 100 family-friendly workouts in the Kids & Family Collection. Portion-control cooking show FIXATE®, to help you learn why good food is so important. Try this program with the Double Time™ 30-Day Money-Back Guarantee (less s&h). If you're not satisfied with your results within 30 days, simply call Customer Service for a Return Authorization number to return the program for a full refund of the purchase price, less s&h—no questions asked.